Flowers of your choice - in this design; fresh green carnations and permanent daisies, butterflies on a wire stem. Wet the foam, place in a decorative container with water. Glue Lollipops to the foam, candy side down, stems out. 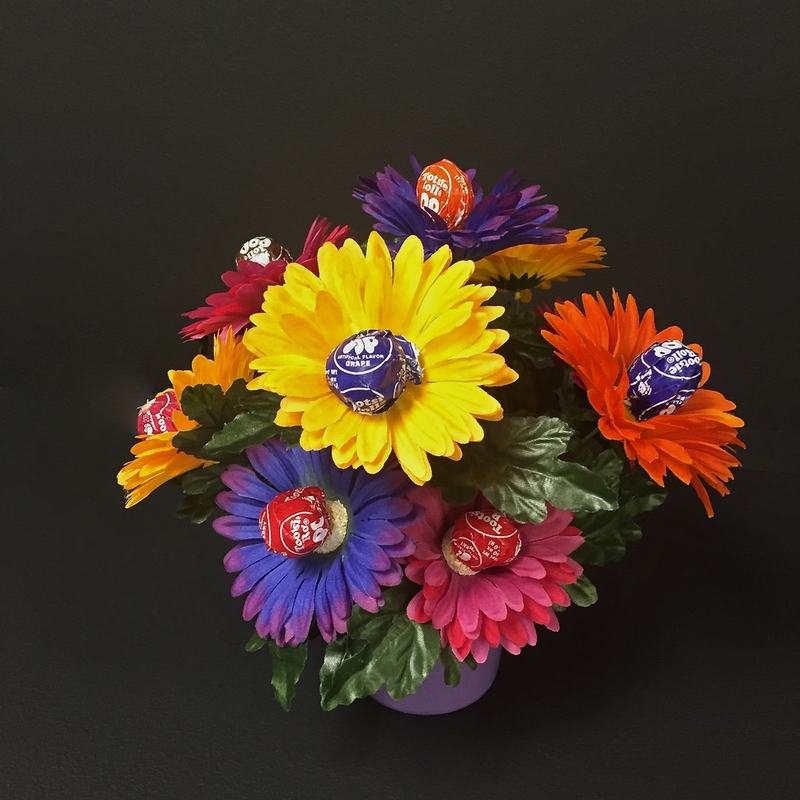 Add fresh flowers between candy, glue butterflies and or flowers to the ends of the lollipops. This can be another family/party project. Play around to put your stamp on the design. Experiment with an apple or pineapple. Remember, the sticks are made of paper, if they become wet they bend.